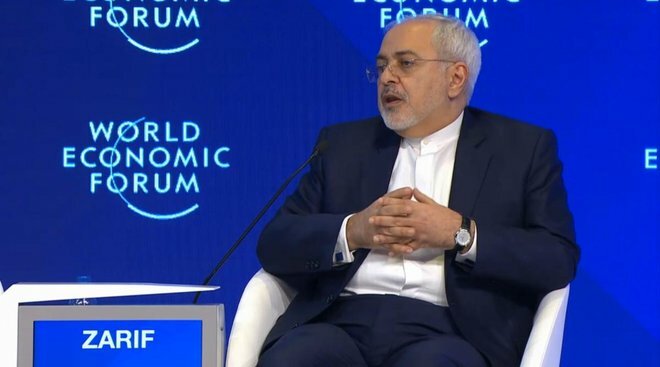 Iranian Foreign Minister Jawad Zarif speaks at the World Economic Forum. One has to give it to Jawad Zarif. Not only can Iran's chief diplomat bluff, but -- as attendees at the World Economic Forum (WEF) Annual Meeting found out -- he can do it while keeping a straight face. Speaking at a special panel in Davos, Iran's foreign minister said he cannot see a reason why his country cannot work closer with arch-rival Saudi Arabia to ensure regional stability. "I do not see any reason Iran and Saudi Arabia should have hostile policies toward each other," Zarif said. "We can in fact cooperate for the future stability of our region. We can in fact work together in order to put an end to the miserable condition of the people in Syria, Yemen, Bahrain and elsewhere in the region." As heart-warming and positive as the words of Tehran's leading spin-doctor may seem on the surface, the subliminal messages are quite disturbing and inaccurate, as they seek to equate the villain (Iran) with the victim (Arab countries that have suffered from Tehran's meddling). Zarif can pretend to be as dovish as he wants, but the reality is that there is nothing he could say that will sugar-coat the "big bad wolf" behavior his government is engaging in; behavior that is not harmful only to Saudi Arabia, but to the whole of the Middle East. All these questions could have been raised during the session in Davos, but there is only so much a WEF-appointed moderator can do, particularly if the interviewee refuses to take questions (the forum, as a Switzerland-based entity, opts not to take sides). The situation would have been quite different if Zarif's Saudi counterpart, or at least a representative of the Kingdom, was on the panel to hit back with the facts. 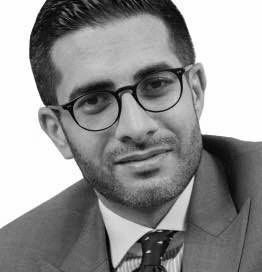 The bottom line is Saudi Arabia needs to do more to call Tehran's bluffs at international events such as Davos. As for Iran, it needs to put its money where its mouth is and ensure its actions match its rhetoric, otherwise Zarif's comments will resemble nothing more than hot air that will quickly evaporate in the cold Davosian climate. *This blog was originally posted on Arab News.